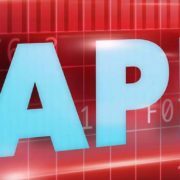 A Real Estate Data API can be a major asset when reaching out to expired listings. And you will need an advantage to overcome all the other agents who are approaching the same homeowner. Contacting an expired listing should be a slam dunk. After all, here’s a homeowner who is ready to sell. Of course, they just had a reality check about their property and the current marketplace. But bottom line, they are still want to place their home on the market. Perhaps they priced the home too high? Or their home has deficiencies, such as an ancient kitchen or ugly rooms that need to be addressed. Hopefully, the homeowner will see that changes need to be made. And they will be ready to list again. Especially when trying to pitch to a listing for a six-figure property in a crowded field of agents. Many people will want to step in and represent that homeowner. The homeowner will be inundated. There will be numerous phone calls, mailers and even knocks on the door. Many will offer to send a marketing package to the homeowner. How does anybody separate themselves from the others? One strategy is to add a Real Estate Data API (Application Programming Interface) to their website. In laymen’s terms, adding a few pieces of software code. Sure, many agents will claim to have local knowledge. But what if you had a Neighborhood API on your website that displayed actual local knowledge in facts and figures? That Real Estate Data API can upload dozens of datasets with in-depth information about that neighborhood. – Neighborhood demographics: ages, income, number of owners versus renters, etc. You can then create a powerful mock-up of how you will use that in-depth data to market their home. Perhaps their property is located in a school attendance zone for one of the best middle schools in the county. Perhaps this home is in the upper 80% of the neighborhood for square footage. You could also run a comparison of one neighborhood to another, showing how that home is actually comparable to that popular neighborhood over there. With a Real Estate Data API that provides geo-coding capabilities, you can point out on a map how that particular property is located near a Starbucks, a Zagat-rated sushi restaurant or a Whole Foods. Research shows those amenities boost home prices. Use the geo-coding features to point out other amenities and how those amenities can justify a higher price. Urban parks: $1,200 in average value. Other studies have shown that nice parks can increase the value of a home by 10% to 20%. Sure, other agents will send their marketing packages as well. But as most marketing experts will tell you, to win a battle, the key is to have the biggest concentration of troops in the right place at the right time. Think of all these data points as your troops. Get ahead of the competition by presenting the most in-depth information. Telling is not selling. The proof is in Showing the facts in your presentation. Help the homeowners with their frustration. Chances are they spent a large amount of physical and emotional energy preparing their home for sale. They might be exhausted by the whole process. And now they have start all over again to find a new agent. 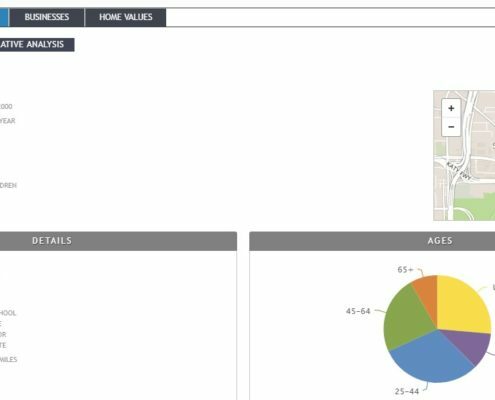 Your Real Estate Data API and the extent you will go to market their property with all this hyper-local data, will make that decision easier for them.